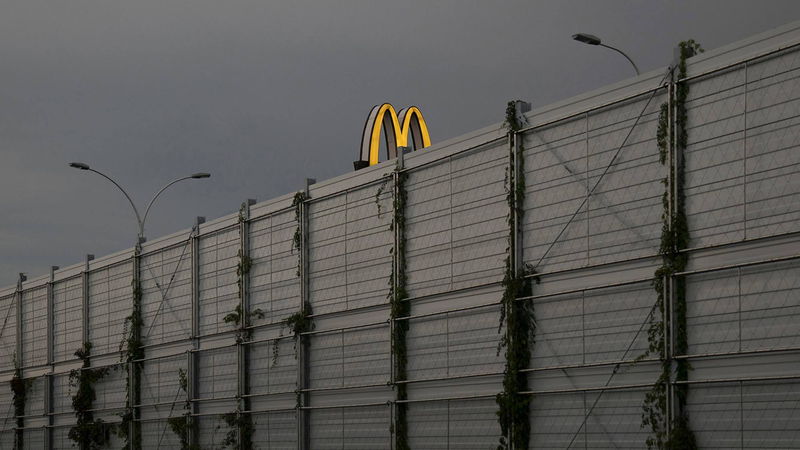 For her series M, Zuzanna Szarek captures the golden arches troughout Warsaw. According to Szarek, the iconic M of McDonald’s is reminiscent of an oversized monster hovering above the city’s landscape and at the same time representing that American dream that, when she was a child, she hoped to reach. During a childhood spent in the Warsaw of the ’90s that M that stood out in the sky was a promise of happiness. Her shots represent with a veil of melancholy something that Zuzanna Szarek has always loved since childhood. You can find more of her work here. Newer Post Photos Capturing the Moment Porcelain Figurines Smash on the Ground. Older Post Russian Photographer Maria Lonova-Gribina’s Unique but Morbid Natura Morta Project.